The Natural Beauty Of Genuine Mica Enhances Decors With A Rich, Warm Light. The Mica Filigree Collection Has A Tan Mica Drum Highlighted With Filigree Rings Backed By Cream Tiffany Glass. 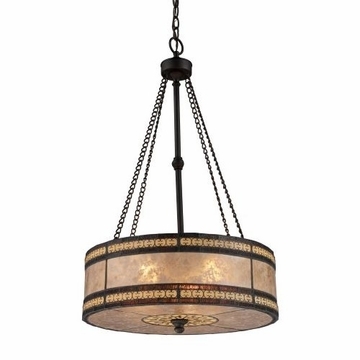 Finished In Tiffany Bronze, This Series Can Coordinate Nicely With Classic Or Modern Décor.